After more than two feet of snow from Winter Storm Juno Monday night through early Wednesday, then 3 or 4 more inches yesterday (Friday), I spotted a flock of wild turkeys in someone’s plowed driveway on Atlantic Ave. in North Hampton. 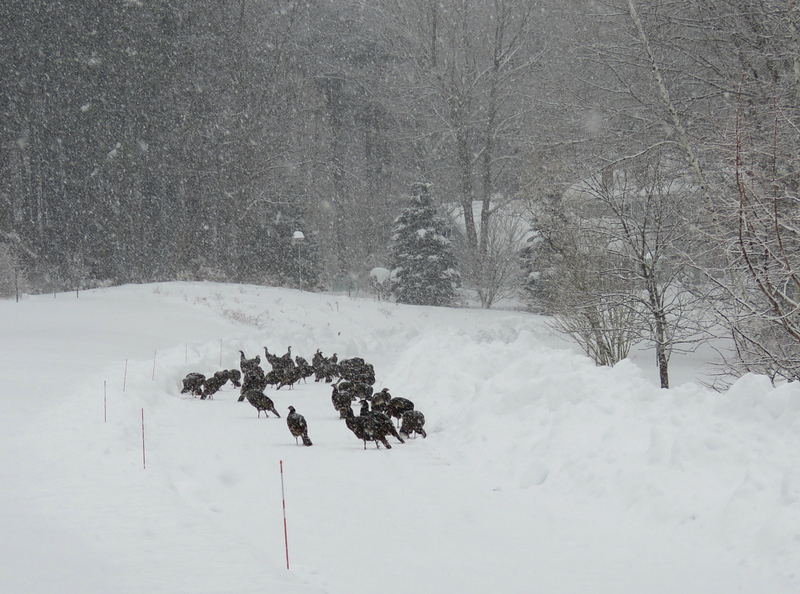 Where do they go, what do they eat, how do they get around in deep snow? 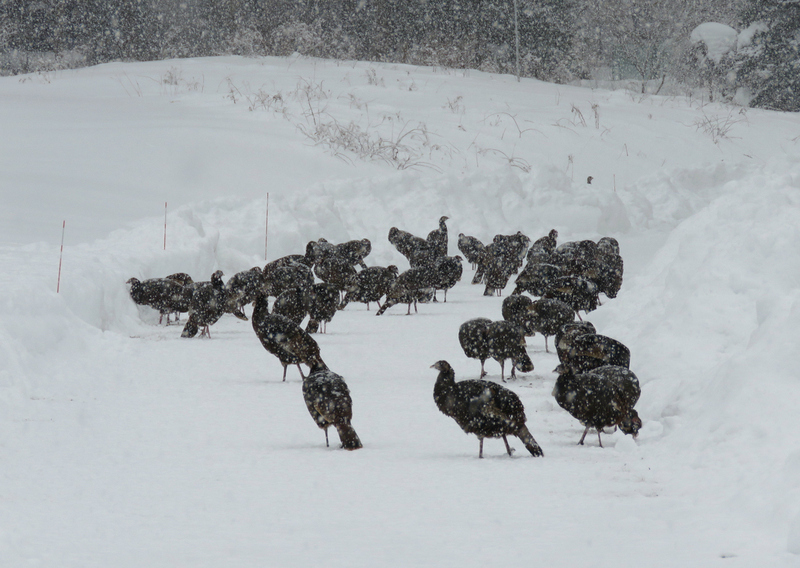 I submitted a report to the NH Fish and Game Winter Turkey Flock Survey. This entry was posted in Uncategorized and tagged Eastern Wild Turkey on January 31, 2015 by Amy.